A self publishing book webpage home of the Trill stories, Sci-Fi Hip Hop stories, & Cosmic hip hop . "Hip Hop is the collective consciousness of the physical and spiritual level of mind and body"
The Legendary Disco Funkateers and The Mighty Force 2 Crew had done more than they ever will know that supercedes beyond the money and the fame or any superficial realities!!! They succeded in creating the Great Party Jamz unification of sound, body, and mind inspiring many offsprings from a tiny group of sound Ark-I-Techs that started it all from "Kimberlin Park"!!! By understanding Breakdancing & it's oscillating rotations of sonic thoughtwavez. We're bringing forth the visible from the invisible processing vibrational freaqkwencc'z repetitiously at hyper bodied light speeds in & out of time gravity of our 3rd eye mind power to become the ultimate musical prototype. first time Author BlaqspaceDNA cleverly crafts and shapes a new paradigm of trill cosmic sci-fi streetlife Hip hop stories. The First of many Hip Hop shortstories entertwined & encoded with an internal understanding of "what is .....HIP HOP"
ROYALEYEDEAS Downloads available 2017/2018 on all ebooks!!!!! 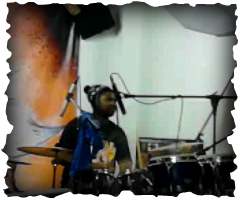 The Magic drums of life!!!!! 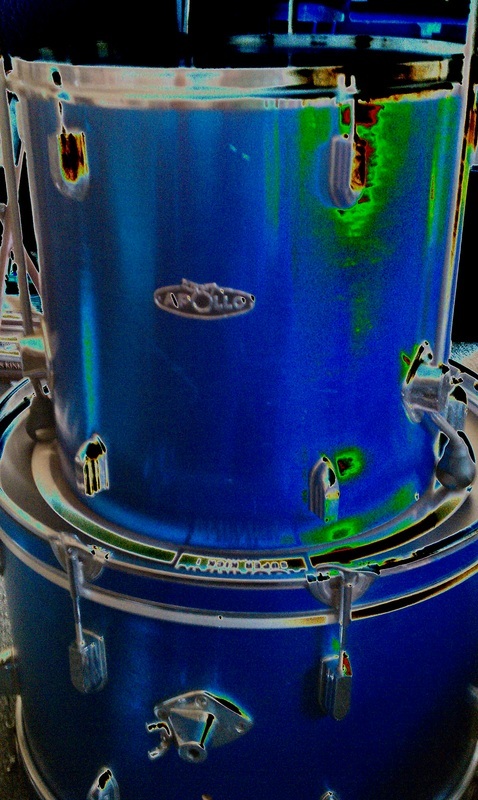 “Apollo the Blue DrumSet” my best friend ever………….Well hello everyone peace & Blessings to all!!! My name is Blaqspacedna and I’m a Drummer… but not your average drummer though you see there’s a thing called destiny and it found me through a little blue drum set named “Apollo.” Well from the age of two I’ve always wanted to play the drums I just didn’t know what to call it!!!! I would bang on all of my mother’s pots and pans every single day, it drove my mom nuts lol…. I would crawl into the kitchen cabinets and just pull out every pot and make all these drum rhythms on them. I've always felt that sound affected my thinking at an early age of my life. So I considered myself gifted & kinda silly!!!! But my mom and pop would never tell me to stop they would just watch me and see what I would come up with next quite the spectacle I would be. At the ripe age of two!!!!! You know as a kid you can feel what you like the most and as a kid I felt that me beating on these pots and buckets is what I really liked the most. So strange & bizarre a raw emotion my first human connection that was destined to be explored throughout my life you see I never thought that my future would be shaped by my past beginnings. You know life is an unscripted most rewarding journey that you must pay close attention to all it’s valuable details!!! We’re constantly being surrounded by all that shapes and influences us regardless if we think that or not you see everything around you is a form of invisible unconscious tapestry that will reveal to you at any given point the necessary layers needed for you to continue on your journey or to reconstruct a better more stronger game plan! Life has many windows to look through it’s up to each & every individual to open up their eyes and take a look!!!! God (Most High) gives us all internal vision !!! !